New molds used for doors. Custom-made new molds for door handware assembled parts. You will never know how it will be used for, unless my customers advise. 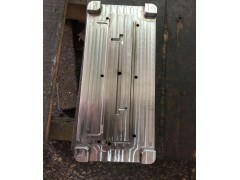 Contact Beryl at sales8()sino-mold()com. You are able to make your innovation into actual products. Choose us , you're not taking a risk. You're investing small amount to gain big return.